Shaken Udder Milkshakes – What Did We Think? 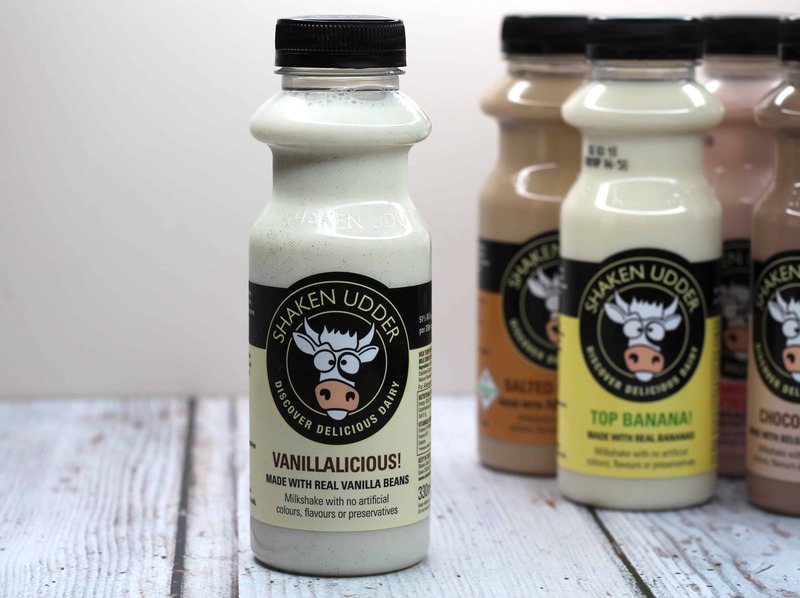 At the end of last week, we received a very exciting package containing some delicious Shaken Udder milkshakes. Milkshake isn’t something I buy for myself as an adult but I was expecting them to be a huge hit with Henry so was excited to give them a try at least. I was very surprised that the bottles, flavours and tastes are actually very appealing to an adult market as well as a child’s. 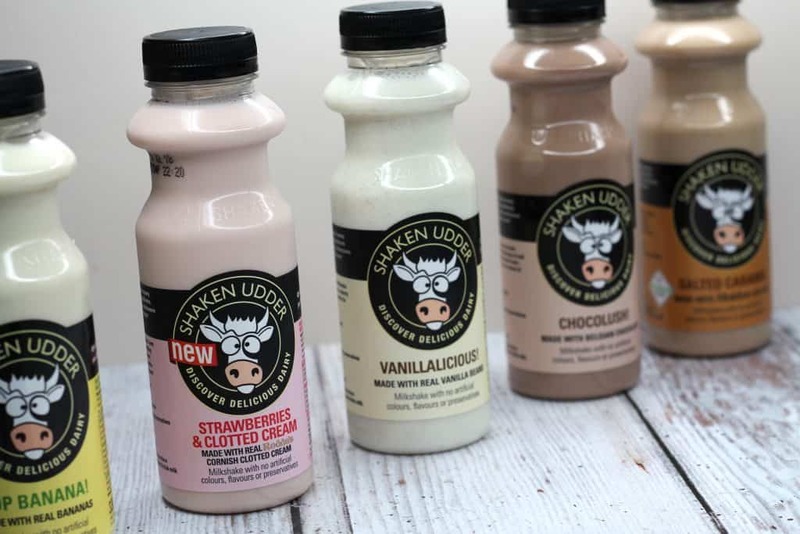 These delicious 330ml bottles of fresh milkshake are kept in the fridge and come in a range of delicious flavours we couldn’t wait to try. The milkshakes are packaged in a decent sized plastic bottle that is fun but not too childish which I felt was a nice change. Often these types of drinks are marketed towards a younger market but I felt that this was still very much alluring to an older consumer and I quite liked that about it. I think the size is good so you aren’t left feeling short changed but there isn’t so much that you are over faced. Being entirely honest I wouldn’t usually reach for a banana milkshake by choice. The taste often reminds me of that medicine you would have as a kid when you had an ear infection. It’s a hard taste to recreate in an authentic way and I feel like it often tastes chemically or artificial. Shaken Udder use real bananas which of course adds to a more true flavour and taste. I have to admit that the taste was delicious and far from what I was expecting. As expected Henry’s favourite was the one containing chocolate but even I was surprised at how delicious the taste was. Henry actually said that the milkshake tasted like the chocolate he got for Christmas! The taste is very authentic to a rich chocolate and not like an artificial cocoa that you seem to get in chocolate flavoured products. Chocolush is made with Belgian chocolate and it’s quite apparent the difference that makes to the product. 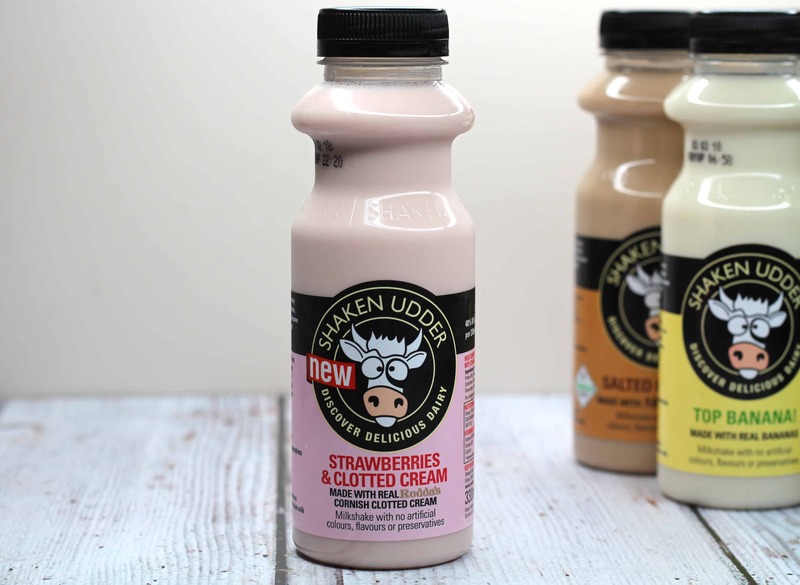 This delicious shake is blended with Rodda’s Cornish clotted cream and strawberries which creates a delicious rich taste. I love a strawberry milkshake especially one that tastes like real berries but the added addition of cream makes this extra luxurious and really special treat. 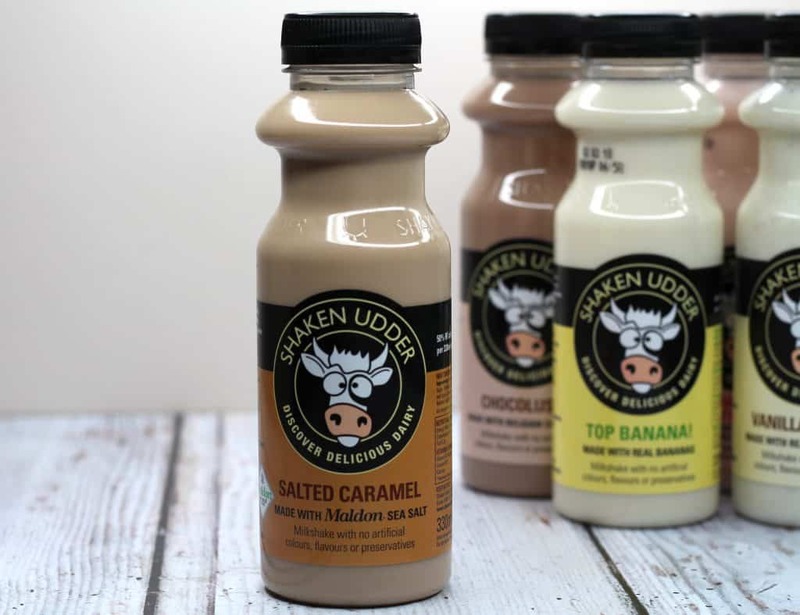 Made with Maldon Sea Salt this delicious sweet shake achieves that salted caramel taste with ease an authenticity. I love salted caramel but I wasn’t sure how the transfer of that to a milkshake would work. The shake could easily taste too sickly but it was a good balance between sweet and salty. Vanilla milkshakes can sometimes taste a bit bland but since this shake is made with real vanilla beans the flavour is very strong and complimentary. The best way to describe the taste is like a high-quality vanilla ice cream. The flavour is rich without being too overpowering as a drink. 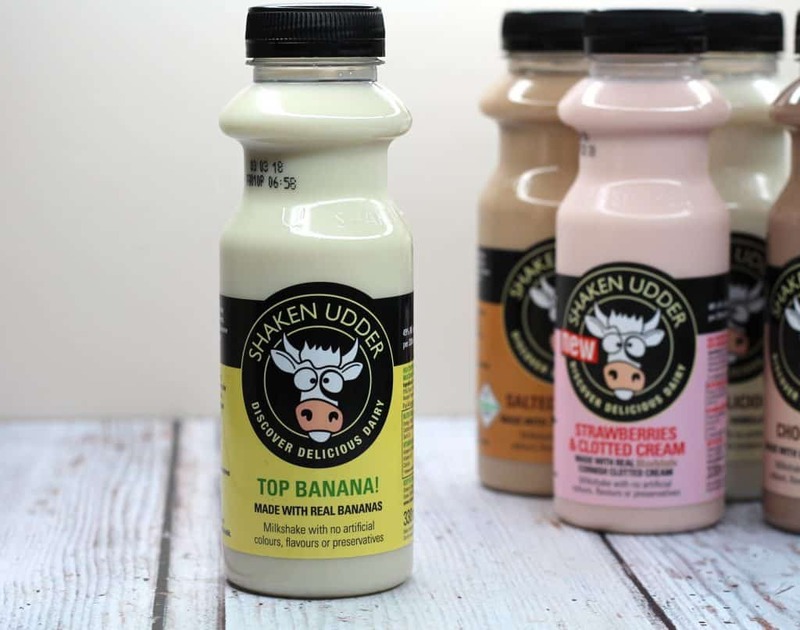 Shaken Udder Milkshakes are a delicious and rich milkshake drink that is made using some of the best ingredients to create authentic and tasty flavours. Each drink contains a high percentage of milk which makes them appealing as a mum. I think that the packaging, size and range of flavours is excellent and it’s absolutely a product I would recommend and buy again. 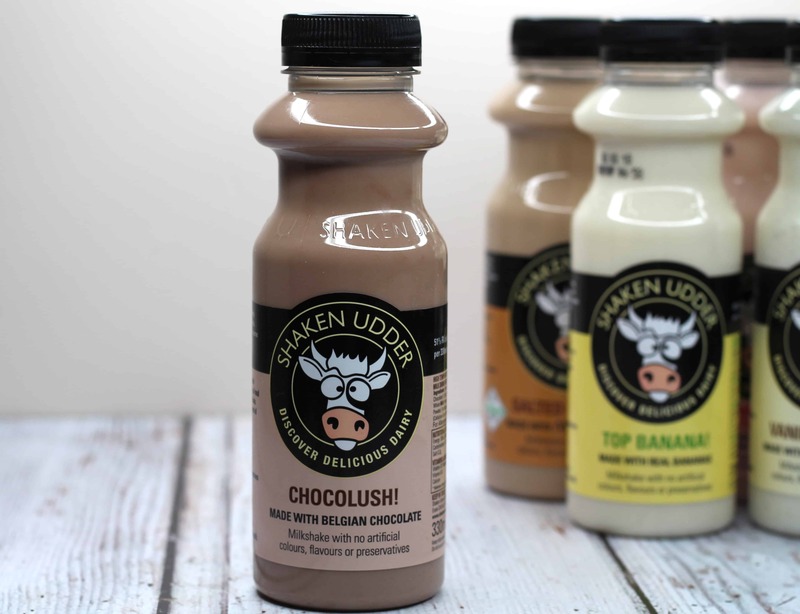 Find out more about Shaken Udder Milkshakes from their website here. 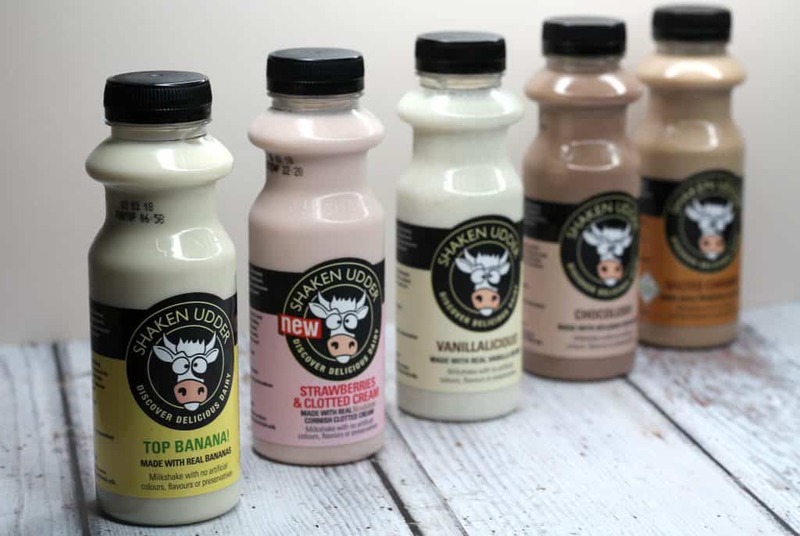 *I received a range of Shaken Udder Milkshakes on a gifting basis in return for an honest review. As always all views, opinions and words remain my own. Some images were provided. For more information on any of this please head over to this page.